When insurance companies decide where to sell health plans, they look closely at what it will cost them. And in Rochester, health care is more expensive than anywhere else in Minnesota because the Mayo Clinic sets the region's prices. That's the reality facing southeast Minnesota. Despite the federal Affordable Care Act and the new MNsure health coverage marketplace, Rochester stands as the one part of the state where prices are high and options are few. Live here and you get Mayo's high quality care. But if you don't qualify for subsidies, and you have to pay for insurance out-of-pocket, you pay the price. A week after MNsure launched its online marketplace, Rochester resident Sandra Toogood checked her MNsure insurance options and found just one -- a Blue Cross Blue Shield plan that would cost her more than she currently pays. She earns enough that she doesn't quality for a federal tax subsidy. The lack of coverage options on MNsure could deter many Rochester residents from obtaining coverage, she said. "I don't know anyone that can pay more than one of their paychecks to be able to afford health care insurance," said Toogood, an archivist at the History Center of Olmsted County who pays $350 per month for health insurance for herself and 18-year-old daughter. The unsubsidized insurance option on MNsure for a 55-year-old like Toogood living in Rochester is $594 a month for a mid-level plan. In the Twin Cities, a comparable plan would cost as little as $268. "I just quite honestly wouldn't be able to afford many more jumps in insurance," she said. "You get to that point where you almost think if you took that money and put it into a savings account, but that wouldn't cover a catastrophic event." Mayo's muscle as the region's health care provider makes it an expensive market for any insurer to enter, said Jean Abraham, a health policy expert at the University of Minnesota. It's a problem in other parts of the country, too, where there's a single, dominant provider, she added. "Given that exchanges are so new and so little is known about the particular population who will be getting coverage and how they're going to seek care, insurers are going to take a fairly short-run perspective," Abraham said. What makes care at Mayo more expensive? The clinic's costs are higher because the clinic treats patients with very complex illnesses, and that just costs more money, said Kathleen Harrington, Mayo's government relations chair. Mayo also supports the cost of research and education, which not all hospitals do, she said. "We're not a community-based hospital. This is an academic medical center that does research, education and top-of-the pyramid care for the sickest of the sick," Harrington said. "The cost is naturally higher." Mayo looks at the overall cost of treating a disease, not just the fees for individual tests or treatments, she said. "The integrated care, we believe, gets to solutions, diagnosis, a lot faster. So if you look at the speed to diagnosis, it would be faster and that would save money. But that's very hard to prove in a fee-for-service world." In Olmsted County, about 5,700 residents under the age of 65 buy individual or family insurance, according to the 2012 American Community Survey. The vast majority of residents under 65 buy coverage through their employer. For Rochester residents like Toogood who don't qualify for federal subsidies and have to pay the full amount for a health plan, insurance costs will likely be substantial in coming years. "I still feel very discouraged," she said. "I hope that either I get a better understanding and learn that maybe some of my concerns about it are wrong. Or they add more options." That might happen in the near future. 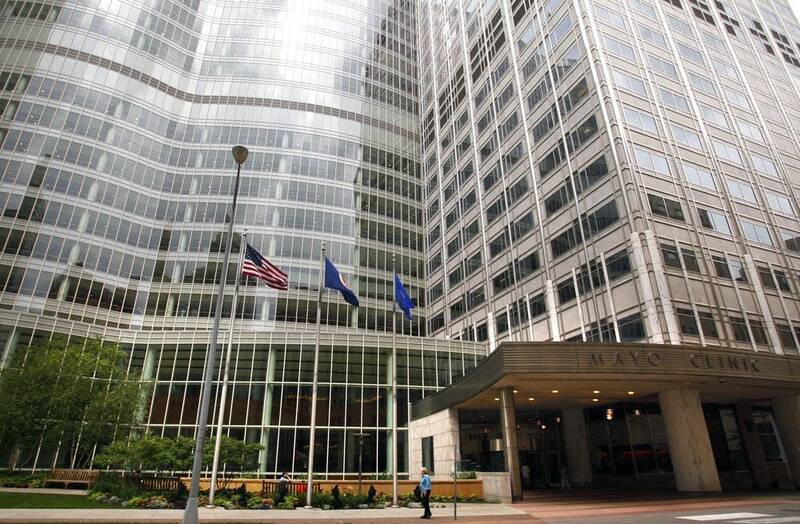 Officials with Medica, another major provider in Minnesota, say they're working with regulators to offer individual and small group plans on the exchange as early as next year in Rochester. The company currently offers individual and small group plans in Olmsted County, but not in the two Rochester zip codes. "We are working with regulators to change that," said Medica vice president Dannette Coleman. "Right now we are expecting that all of the products that we offer throughout southeastern Minnesota will also be available in Rochester," Coleman said. "It's just not quite final yet." In a statement, HealthPartners officials say the company does not have a provider network in southeastern Minnesota and the same will be true for 2014. The company will reevaluate expanding into the region in the future. And even though options through MNsure are limited in Rochester, there are other private insurers in the region, including a number of short-term insurance plans. But those only offer coverage for several months. Minnesota Department of Commerce officials say they're aware choice and costs may be a problem for some in Rochester and hope to change that in the future.